In March 2014 the World Health Organization (WHO) released new estimates attributing 7 million deaths per year – one eighth of all deaths – to air pollution. Many air pollutants are also ‘short-lived climate pollutants’ (SLCPs) that have significant impacts on local and regional climate. These include black carbon particles emitted by diesel engines, brick kilns, cook stoves and open fires, as well as the gases ozone and methane. Unlike the greenhouse gas carbon dioxide (CO2), which, once emitted, stays in the atmosphere for centuries impacting global climate, SLCPs have atmospheric lifetimes of days to months. The good news is that shutting down their sources reduces their climate impact within days to months. It also means they do not have time to mix uniformly around the world, and have the greatest impact only in the region near their sources. 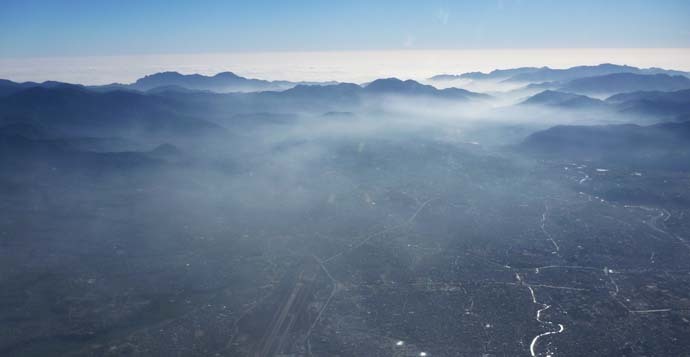 REGIONAL HAZE: Indo-Gangetic haze infiltrates the already-polluted Kathmandu Valley in winter. The bad news for us is that Nepal is in a region that is a major hotspot for black carbon emissions. Black carbon contributes to the melting of Himalayan glaciers and snowfields, warms the atmosphere at higher elevations and cools it at lower elevations. It also reduces visibility, and contributes to changes in monsoon rainfall patterns. Outdoor air pollution has grown steadily in recent decades. During the dry season, plumes of smoke from hundreds of millions of cooking fires, millions of diesel vehicles, generators and pump sets, as well as tens of thousands of brick kilns merge into one thick brown haze layer that extends from Pakistan to Bangladesh, penetrating deep into Himalayan valleys. In winter, pollution contributes to the increasing persistent fog that covers large areas of the Indo-Gangetic plains for weeks on end. In Kathmandu Valley air pollution is much worse in winter than in summer, and worse in the morning and evening than in the afternoon or late at night. Air pollution increases when brick kilns start operating in December, and is worse in the eastern part of the Valley where the brick kilns are concentrated as well as near roads and other pollution sources. Field studies during the first half of 2013 found concentrations of air pollutants several times above WHO’s and Nepal’s own air quality standards for extended periods of time, not just in Kathmandu but also in places like Lumbini. Some cities respond to bad air quality days by taking short-term measures to reduce emissions and exposure when PM10 (coarse particle) concentrations reach 180 micrograms per cubic meter. 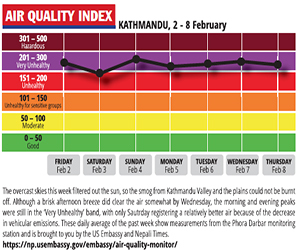 In Kathmandu Valley, PM10 is hardly ever below 180 micrograms per cubic meter for weeks at a time. Without continuous air pollution measurements, and without a system to communicate the results to the public in real time, we cough through undeclared air pollution emergencies, unaware of what we are breathing and unaware of its toll on our health and economy. Three of the Kathmandu Valley’s six air quality monitoring stations that had shut down in 2007 have been revived. However, these stations only measure 24 hour average PM10 data, and that too is reported days later. The Valley desperately needs state-of-the-art real time monitoring stations, and a system of communicating the data to the public. It also needs pre-agreed measures in place that can be implemented when air pollution reaches danger thresholds. Other areas with high population density or natural or cultural heritage also need similar stations and systems in place to respond to air pollution emergencies. 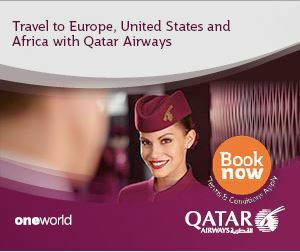 Air pollution crosses borders daily. Shutting down Nepal’s 700+ brick kilns will not remove the pollution arriving from the tens of thousands of kilns just south of the border. We need regionally coordinated data sharing and responses to air pollution emergencies in the region. The entire northern South Asia needs a strong push towards cleaner, less polluting technologies: clean cooking, clean brick production and clean transportation.